2 Bedroom House For Sale in Somerset for Asking Price £165,000. 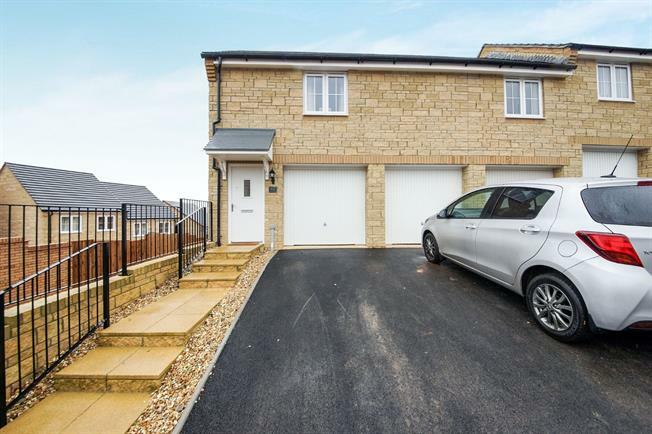 A stunningly presented, two bedroom coach house situated within a popular residential development in Wincanton. The property benefits from a high quality range of fittings, floor coverings and carpeting, as well as offering countryside views from the rear of the property. The flexible accommodation comprises: Modern kitchen, spacious living/dining area, two double bedrooms and a contemporary bathroom. There are also the added practical benefits of: double glazing throughout, remainder of NHBC certificate, Garage with utility area and parking in front. A stylishly presented kitchen offering far reaching countryside views. Fitted with a range of modern white base units with roll edged work surface over. 'Hotpoint' cooker with inset four burner gas hob and extractor above. Stainless steel sink and drainer and high level integrated fridge/freezer. With double glazed window. Double room with large built in wardrobe, double glazed window to front and radiator below. Double bedroom with loft hatch access, double glazed window to front and radiator below. A contemporary bathroom suite comprising panelled bath with shower over, low level WC, and white ceramic wash hand basin. With heated towel rail and obscured window. Single garage with utility area with plumbing and space for appliances.